Several new tools will be coming to developers who build apps for the BlackBerry platform. Research In Motion (RIM) announced many additons to its BlackBerry toolset at the BlackBerry Developer Conference this week. A major announcment was the expanded partnership between Adobe and RIM. Adobe's Creative Suite 5 (CS5), rumored to release in April, is going to have new development tools for BlackBerry applications. RIM also announced a new widget platform, WebKit support, and new APIs. CS5 will allow developers to use programs like Adobe Photoshop, AfterEffects, and Illustrator to create graphics, images, and videos for BlackBerry apps. The assets created in Adobe programs can be imported to development tools like the BlackBerry JDE and Web plugins for Eclipse. RIM's new BlackBerry Theme Studio will also be able to use Adobe assets. BlackBerry Theme Studio 5.0 can use Adobe Photoshop files in BlackBerry Theme Builder. Themes can also incorporate ringtones and screen transitions such as zooming or fading. 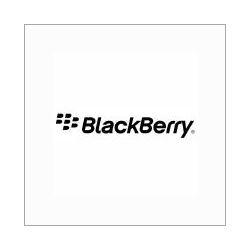 Other Adobe programs, such as Adobe Dreamweaver, Fireworks, and Device Central, will support the creation of "BlackBerry Widgets" and content for the BlackBerry Web browser.